TO BE BUILT. Built with eBuilt energy standards. Advanced framing techniques, gas tankless hot water heater, 80% gas heat, superior insulation package, radiant sheathing barrier, low E high performance windows, state of the art smart home technology, and more! Built to save energy and dollars for its new owner! 3,087 sf 3BR/2.5BA with loft or optional 4th Bedroom. 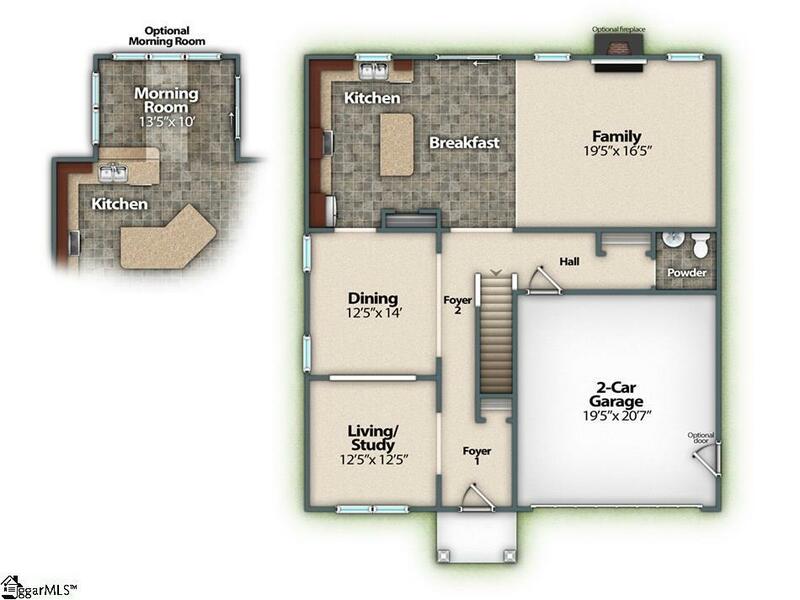 Open family room and kitchen area with high (9') ceilings. Kitchen has plenty of granite counter top space, 6' island, large cabinets, pantry. Samsung Energy Star appliances with electric smooth top range. Large owners suite with His and Hers walk in closets. Owners bath features granite counter tops, dual vanity, and large garden tub with separate shower and water closet. 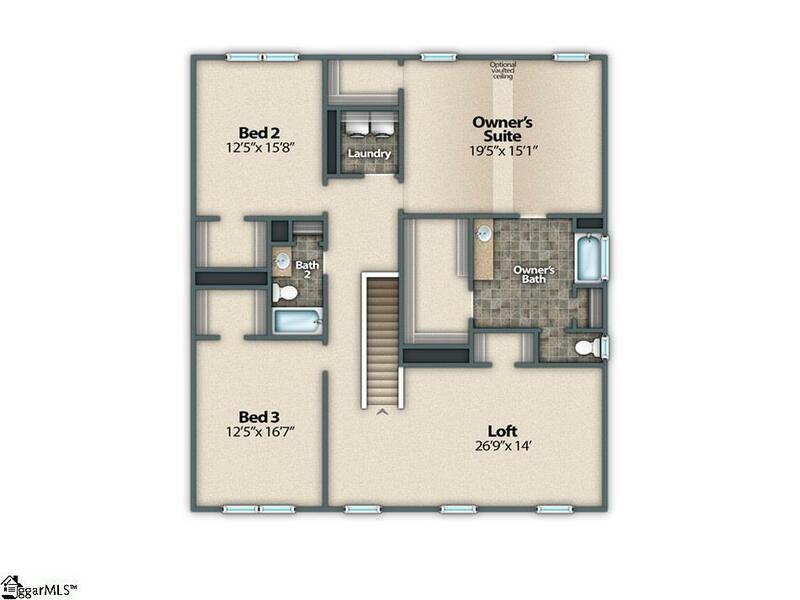 Very spacious secondary bedrooms with large closets! Sprinkler system finished garage. 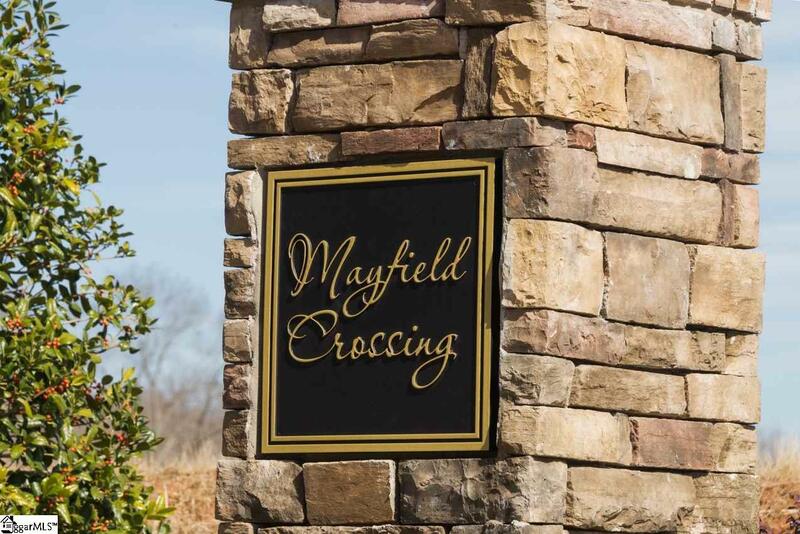 Mayfield Crossing is the best of both worlds. Beautifully nestled between Greenville and Spartanburg. 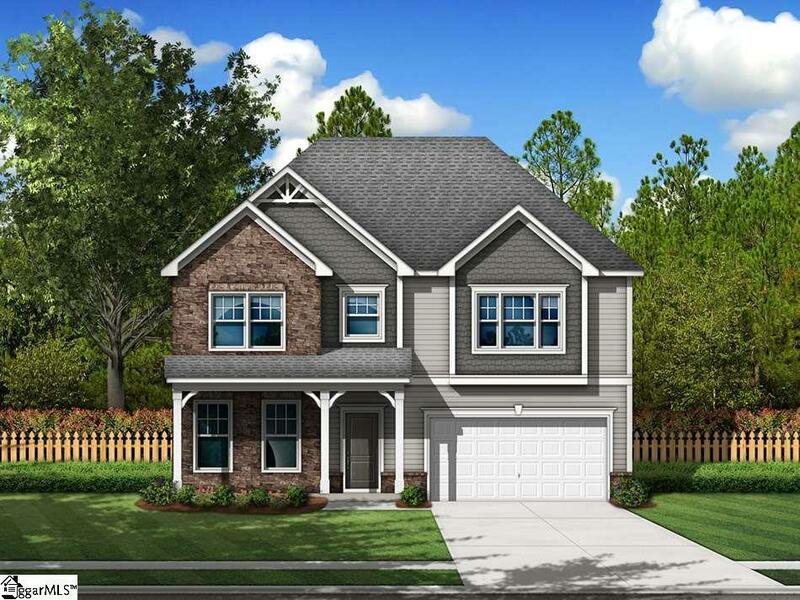 The community is conveniently located between highways 101 & 14 on Abner Creek Rd in the Upstates fastest growing area and is just minutes from BMW, Greenville-Spartanburg International Airport, I-85 and I-26. Many options are available to choose from to personalize your home.